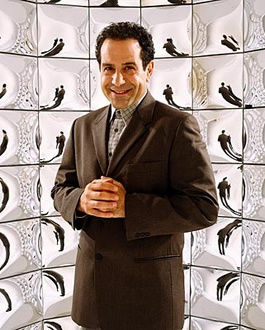 Mr. Adrian Monk has left television on a high note. The last episode of the quirky Monk series drew a record number of viewers to USA. The last episode of Monk, which aired Friday night, attracted some 9.4 million viewers with a little less than a third of them in the 18-49 demographic. According to THR, that marks the show’s largest audience for not only the show but for a commercial cable channel as well. The previous record-holder was an episode of TNT’s The Closer with 9.2 million viewers. That high performance helped bring a season-high audience to White Collar as well. The fall finale of the freshman series attracted 5.5 million viewers, marking USA’s best Friday night performance at 10pm in more than three years. I think monk would be good if we got to see him hang out with his daughter and solve crimes whatever. I hope another network would offer to make more seasons the show. I seriously don’t understand how people still don’t know why Monk is going off the air. It wasn’t canceled. The crew ended the show because they felt it was time to move on and they didn’t want to keep drawing it out like some overrun shows become. Monk is one of the most successful shows ever. So I really don’t understand how people still think it was canceled. On a side note, everyone should definitely watch Burn Notice when it comes back in a few weeks. It is the best show on TV 🙂 Well, that and Psych. I know it wasn’t canceled. It’s just hard to see a successfully run show die out. I prefer Psych over Burn Notice. Just could never get into Burn Notice. Now, you may remember or not, the show “Traveler” that was great. But, it was taken off the air as well as “Flash Point” Enjoyed them both. @Avenger: Flashpoint hasn’t been cancelled. It’ll return to CBS sometime in 2010. I had been watching but didn’t see any details about it. That’s great!! Loved this show. It’s sad that it’s leaving and the only thing left on TV is CRAP. I don’t understand how they end shows like this one and leave crappy shows on for years. I agree there is nothing on but CRAP! Although, I do enjoy the shows “Chuck” “Psych” “NCIS” “Ghost Whisperer” I truly liked Flash Point but they canceled that show as well. “Monk” was my all time favorite!! I will sadly miss MONK My entire family enjoyed watching the show every Friday night and when we were not at home, we would record the show. I am hoping that Tony will consider coming back. Since he played in Wings, I truly feel that MONK was his best t.v. series. The writers were superb! “Coming from a fellow writer herself!” I hope Tony and the cast read all of the viewers comments and know that we would love to see MONK back and soon!!!! A great show that ended at the right time. Well done to USA.